In 2007, The Grey Art Gallery at Washington Square held an exhibition called “Semina Culture: Wallace Berman and his Circle.” Berman was featured not only for his innovations in art, but also his unique manner of organizing social cliques who combined their talents and ideologies into transcendent works spanning from the beat era to the psychedelic. Among Berman’s entourage were poets and underground artists such as Bruce Connor and Marjorie Cameron. Surprisingly, many high caliber artworks and documents were also on display from prominent Hollywood personalities such as Dean Stockwell, Russ Tamblyn, Toni Basil (best known for the 80’s pop anthem “Mickey”), and Dennis Hopper. Hopper emerged from a philosophy shared by his contemporaries that “art is who you are not what you do.” His first appearance on film was an Andy Warhol project called “The Thirteen Most Beautiful Boys” in 1964. In Los Angeles he developed close ties with some of the most creative minds in Hollywood and joined forces with Peter Fonda and Terry Southern – also a reputed relic of the beatniks – to write, direct, and star in Easy Rider in 1969. The film was immediately recognized as a seminal work that brought underground sensibilities and avant-garde tropes into mainstream cinema. It earned Hopper the prestigious First Film Award at the 1969 Cannes Film Festival and garnered two Academy Award nominations: one for Best Screenplay and another for Jack Nicholson as Best Supporting Actor. Nicholson’s performance does stand out as a bourgeois southern boy with a taste for the rambunctious and hedonistic. Fonda and Hopper carry the film with impeccable style and subtlety as a pair of bikers who journey across America to retire in Florida with the ample spoils from a cocaine deal through a mystery man in a Rolls Royce (played by pop impresario Phil Spector). Toni Basil and Karen Black make provocative impressions as a pair of New Orleans hookers, especially in the famous LSD montage that punctuates the film’s origins in the avant-garde. The bulk of the cast were culled from the underground circuit and evolved into figures of prominence.Easy Rider is particularly powerful in its cinematography, executed by Laszlo Kovaks who himself would earn three Lifetime Achievement Awards. Apart from its artistry and cultural impact, Hopper’s directorial debut is a staggering perspective on countercultural ideals and failures, and the schism between traditional American values and the counter-culture – with their conflicting interpretations on the essence of liberty. Once Easy Rider had earned Hopper carte-blanche stature as a director, he proceeded to manifest his original film project,The Last Movie. Its concept was too eccentric and its methods too non-linear to engage enough interest and backing at first. Once the opportunity was presented, he concentrated his drive toward the experimental into this highly unusual and powerful film. Hopper stars as Kansas, a stunt coordinator on the set of a Western shot in a remote Peruvian village. After the accidental death of his colleague (Dean Stockwell – with comrades Toni Basil and Russ Tamblyn making appearances also), Kansas stays behind and becomes romantically involved with a prostitute who exponentially transforms into her own ideal of a Hollywood starlet. The entire village, in fact, is so enthralled by their experience of the film shoot that they form a strange cult around cinema, dissolving distinctions between the fantasy of film and the reality of life. The Last Movie itself takes a post-modern approach to the nature of reality and a self-referential perspective on the distortions of cinema and the corrupting energies of Hollywood and wealth. Its style is mystical as well as brutal, with unusual distortions of chronology and character identity. Laszlo Kovaks surpasses himself as director of photography in the hilly expanses of the Peruvian landscape and the clandestine recesses of the film’s darker aspects. The editing is beautiful in its chaotic sequences, laden with Freudian neuroses and unsettling folk magic. The inspiration of Hopper’s friend Alejandro Jodorowsky is palpable throughout. Hopper fell into a lapse of drug and alcohol abuse during the solitude of his editing process, and it was Jodorowsky who criticized Hopper’s original cut, forcing him to adopt unconventional editing techniques to effect the forceful philosophy of The Last Movie. It’s unique approaches to satire, ritual, violence and eroticism were truly unprecedented in Hollywood at the time, and only in retrospect has its value and influence come to be appreciated. 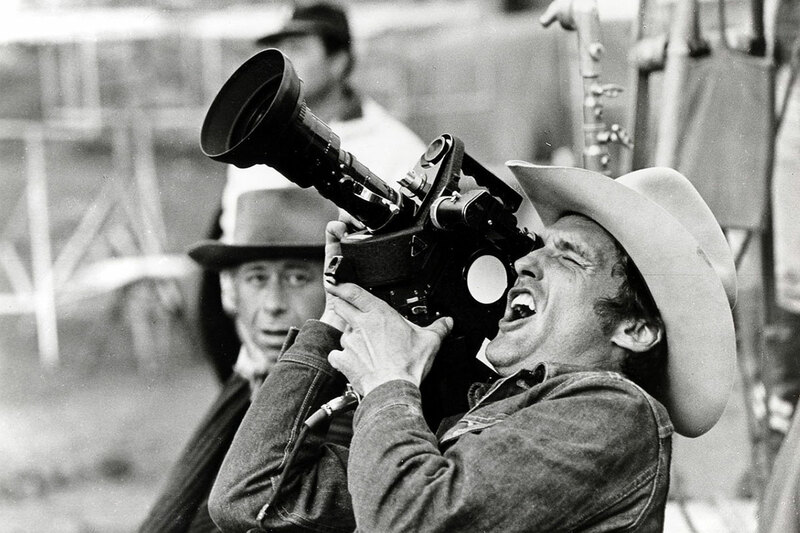 The reception of the film practically exiled Dennis Hopper from Hollywood for a decade. It was his commitment to his origins in the underground art world that kept him true to his craft. His ardor and integrity charged him with the stamina to remain ensconced in his commitment to creative innovation. Through the 1980’s until his passing in 2010, his career as an actor and his reputation as a filmmaker defined him as an irreproachable force in the evolution of cinema.